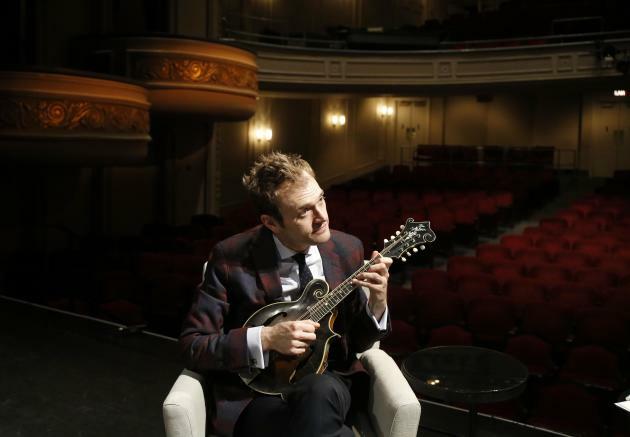 Like Garrison Keillor before him, Chris Thile is going to market “A Prairie Home Companion” products. Well, at least one. He’s releasing an album, “Thanks for Listening,” featuring 10 songs he wrote for PHC. One of his commitments since taking over as host last year was to create an original song for every show – either based on current events or the city in which the program was being performed. Thile wrote 19 such tunes during last season. He and producer Thomas Bartlett selected the 10 tunes, which Thile then recorded in the studio. Hence, these are not the live versions performed on PHC. “Thanks for Listening” is being released Dec. 8 on Nonesuch Records, Thile’s usual recording home. Thile returns to PHC Saturday with guests Chris Stapleton and Margo Price, among others.